German ride manufacturer Huss Park Attractions GmbH has announced details of new ride projects for 2014 and beyond, with a wide range of installations being opened this year and many more confirmed for 2015 and into 2016 at parks around the world. Among the newest attractions now in operation is a true classic ride from HUSS® originally produced as the Pirate Ship which recently opened at Djurs Sommerland in Nimtofte, Denmark. The new addition, which is themed as a Viking ship and has been named ‘Drageskibet,’ is from the company’s Classic range and accommodates up to 54 passengers. With moderate accelerations and motions it is a genuine family ride, with children from 1.1m tall accompanied by an adult being able to enjoy the experience on offer. Those over 1.2m are able to ride alone. ‘Drageskibet’ swings riders up to 20m in height at a 75 degree angle, all over a small lake in the newly created Vikingeland area and with its detailed theming and decoration it is sure to become a popular landmark in this section of the park. A second Pirate Ship is due to open later this year at Romon World in Ningbo, China. This particular model will again feature a special theme, on this occasion reflecting the concept of Pirates of the Caribbean, and will be another excellent example of how the detailed theming of the Pirate Ship rides can create a unique attraction with outstanding visual impact, creating a major draw for visitors. 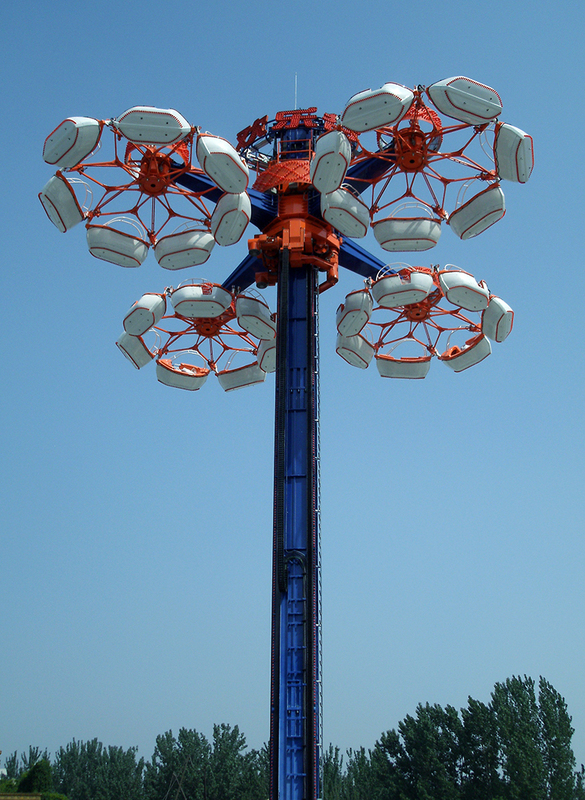 The attraction is part of a package of four new HUSS® rides operating at the park which also includes a Top Spin Suspended, a Giant Frisbee 40, both from the HUSS® thrill ride range, and a Break Dance 4 family ride. June has also witnessed the opening of the first Condor 2G (2nd Generation) attraction, at Happy Valley Beijing in China. The original Condor enjoyed much success with 30 examples being sold during the 1980s and ’90s and having been added to the company’s active portfolio of products once again, with revised design elements, it is creating much interest among theme park operators and visitors. The Happy Valley model features the familiar 31m high central tower structure with four main arms, at the end of which are spar boxes carrying star shaped steel frames. Attached to these are seven, two-person gondolas which reach a height of 24m during the ride and swing out as they rotate around the spar box. The ride also features a rescue boat design and unique lighting concepts. A second HUSS® Condor 2G attraction is due for opening in 2014/2015 in the Chinese Shandong Province, while looking further ahead to 2015, the company also has a number of new rides set to open during the year. These include a Top Spin Suspended for an as yet unnamed client in the Middle East and another Top Spin Suspended and a Sky Tower for undisclosed clients in China. For delivery in 2015/16, HUSS® has also confirmed contracts for two Top Spin Suspended rides, both equipped with a water fountain feature, and Giant Frisbee 40 for China, while due for delivery to the Middle East during this period is a King Kong ride, the sixth version of this family ride to be built and which will as usual incorporate a variety of special effects to enhance the experience. 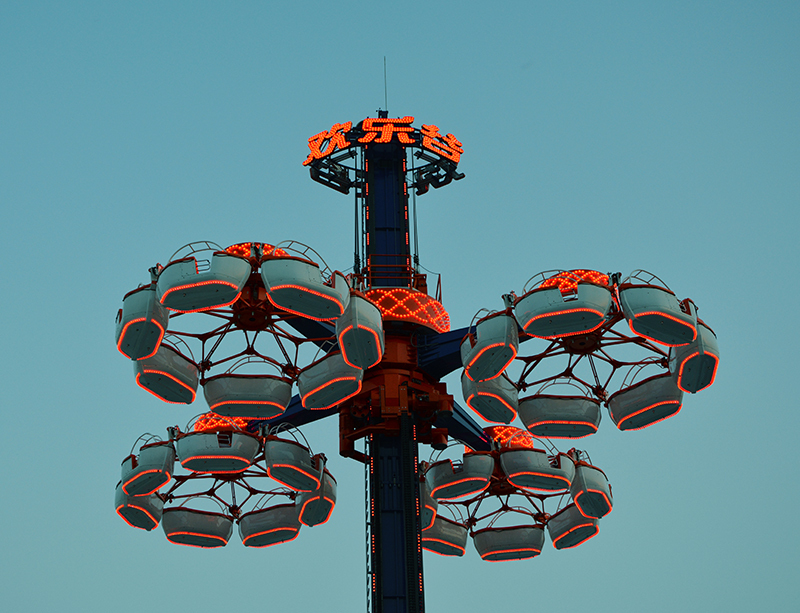 The first Condor 2G (2nd Generation) attraction from HUSS®has now opened at Happy Valley Beijing in China and features a rescue boat design and unique lighting concepts. 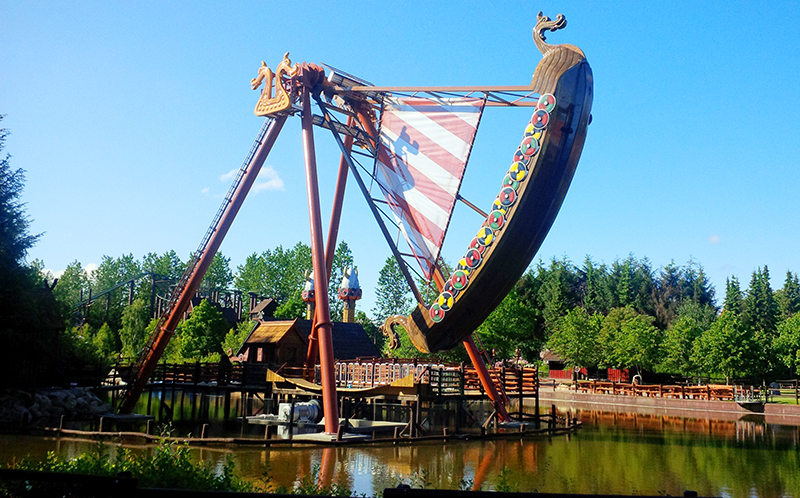 Huss Park Attractions GmbH has delivered a classic Pirate Ship ride themed as a Viking ship named ‘Drageskibet’ at Djurs Sommerland in Denmark.